As Banff is a Canadian city, the currency used is Canadian dollars. A few stores and hotels may accept US dollars but it is safest to carry some Canadian funds and a credit card or traveler’s checks. A 5% Goods and Service Tax (GST) applies to all purchases (including food). Please make sure that you account for the tax when paying. Tipping is customary in Canada, especially for restaurant servers, drivers and guides. 10-20% of the price is an acceptable amount to tip, depending on the service provided. As Banff is located in a National Park wildlife sitings are common. Please respect the wildlife and the environment by keeping your distance. Parks Canada’s role is to protect and preserve the park wildlife. Banff is a great place to eat. 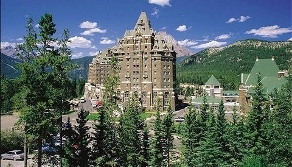 With over 22 restaurants, from fine dining to pub fare, Banff has something for everyone.